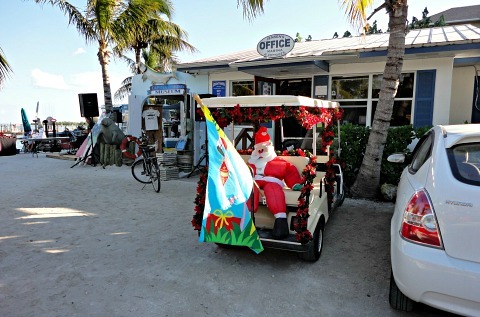 Captiva Holiday Village - Fun and festivities abound on the island to get you in the mood for the holidays .......... Florida-style! 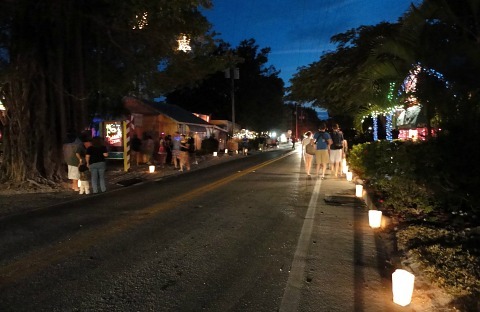 Starting the weekend after Thanksgiving, and continuing for the next 2 weekends into December, you can join in the fun with all kinds of tree-lighting, parades, contests, carol singing, and holiday walks around Captiva's village. 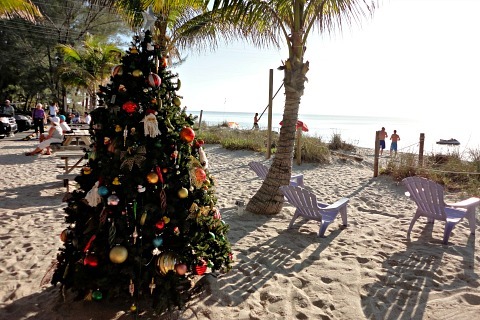 Normally you wouldn't think to take a vacation before Christmas, but this is a wonderful time on Captiva to get the family together to enjoy all the activities for young and old alike. Going to the holiday village is so much fun, you should definitely try to get out to at least one of the events! The Friday after Thanksgiving kicks everything off with a tree-lighting and fireworks at Tween Waters Inn in the evening. 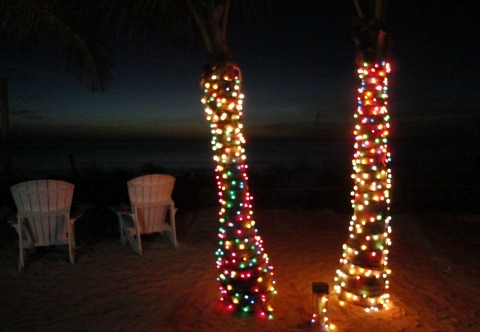 The next night, on Saturday, South Seas Island Resort has their tree-lighting ceremony. You can also go to the Sunset Arias at Tween Waters Inn, which are fabulous ........ beautiful singing, with the waves crashing behind the performers, and the sun setting ...... it's absolutely stunning! Don't forget to make a reservation for dinner at either of the inn's restaurants, Crows Nest or Old Captiva House, after the performance. 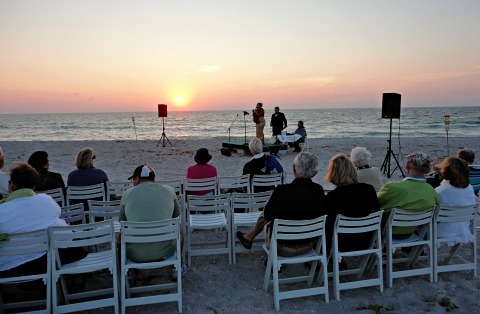 Friday night features more Sunset Arias at Tween Waters Inn as well as a luminary walk in Sanibel that you can catch on the way over or back. 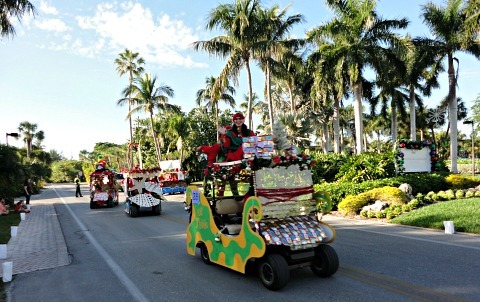 On Saturday, you'll want to go in the afternoon to see holiday-decorated golf carts in the Golf Cart Parade. It starts at South Seas Resort and then heads to Andy Rosse Lane and through some side streets. 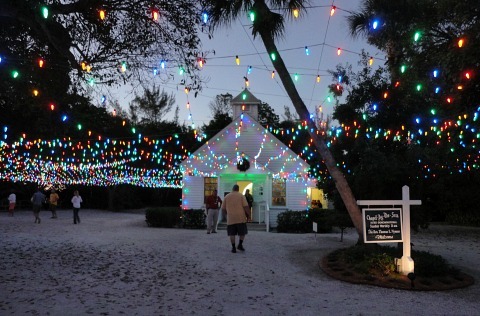 Awards and a party are featured afterwards that you can go to, along with Captiva's luminary walk. Many of the restaurants give out food samples and have live music. Jensen's Marina kicks off this weekend's Captiva Holiday Village festivities with Mullet Marching Band on Friday evening. Anyone can join in with instruments and noise makers with the local musicians who make up the band. On Saturday, Jensen's continues the fun with a Seafood and Fishing Festival all day long. 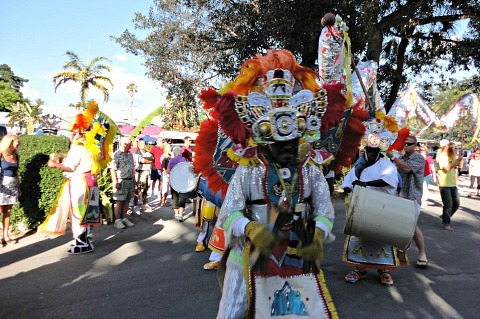 In mid-afternoon, the Junkanoo Parade starts from McCarthy's Marina and heads down Andy Rosse Lane towards The Mucky Duck. Participants wear New Orleans-style costumes, play instruments, and dance around. You can join in the dancing and marching ...... it's such a blast! 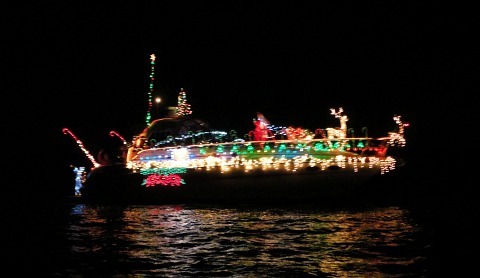 Then, that night, head back to Jensen's Marina to watch the Christmas Boat Parade going by in Roosevelt's Channel. It's fun to pick your favorite decorated boat, sing carols as the boats go by, a and many people celebrate by bringing snacks and beverages. Then, last but not least, is the Christmas Carol Sing on Sunday evening, at The Chapel by the Sea. I love going to this, the pastor also tells interesting stories between each carol. Refreshments are served afterwards, next door at the Captiva Community Center. 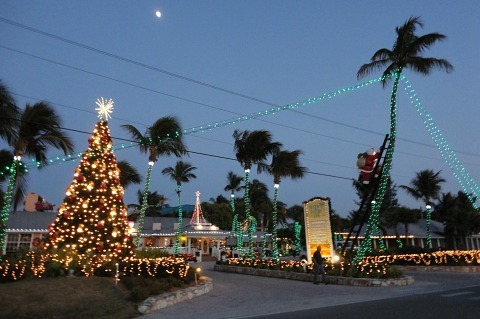 For more information, go to the Captiva Holiday Village webpage.